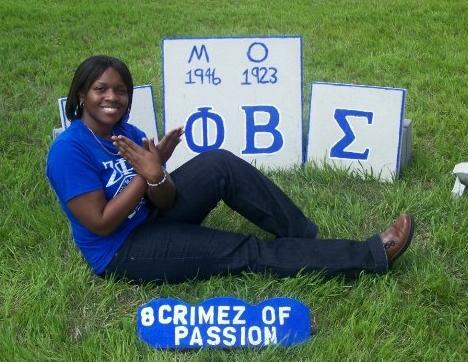 Miss Zeta Phi Beta for the 2007-2008 academic year is Soror Jessica "JellyBean" Benjamin of SC. She became a member of this phenomenal sisterhood in the Spring of 2007 (#1, White Collar Felony). Not only does Jessica hold the title of Miss Zeta Phi Beta, she also serves as the 2007-2008 Mu Chapter Historian and the Z-HOPE coordinator. She has demonstrated great leadership and sisterly love while representing our sorority and truly serves as an excellent example of finer womanhood. Our Brothers * Interested In Zeta? ?